There is a direct connection between hearing health and overall health and well-being. Ever-increasing evidence shows treatment of hearing loss with hearing aids can improve or limit some serious health issues such as cognitive decline and dementia. Livio AI lets people of all ages take an active approach to their overall well-being. Sensors in the hearing aids detect movement, activities and different gestures. The hearing aids then communicate with each other, and with multiple accessories, to deliver meaningful benefits beyond traditional amplificatio. Integrated sensors in the Livio AI hearing aidsthat track your brain and body activity via the Thrive app. Using integrated sensors, Fall Alert detects falls and sends alerts to contacts you choose. With the Thrive app, view your heart rate and heart recovery rate. Request adjustments from your hearing care professional who can then make them remotely so you don’t need to make an appointment and stop in. 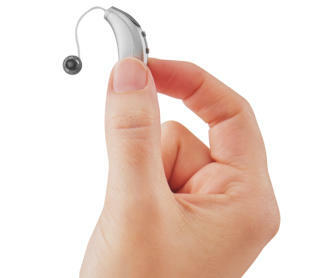 Performs a diagnostic test of the hearing aid components. Easily communicate with people who speak other languages via the easy-to- use translation tool in the Thrive app. Answer your calls with the touch of a button and hear the entire conversation streaming directly to your Livio AI hearing aids via Bluetooth® technology. Hearing Aid Stores Near Me! Thanks to new technology called Hearing Reality™, Livio AI is designed to be most effective in noisy environments. Livio AI hearing aids were given the top rating compared to other manufacturers’ premium devices for reducing background noise in noisy listening environments by an independent study. There is a direct connection between hearing health and overall health and well- being. Ever-increasing evidence shows treatment of hearing loss with hearing aids can improve or limit some serious health issues such as cognitive decline and dementia. 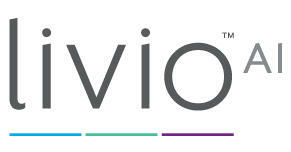 Livio AI lets people of all ages take an active approach to their overall well-being. Sensors in the hearing aids detect movement, activities and different gestures. The hearing aids then communicate with each other, and with multiple accessories, to deliver meaningful benefits beyond traditional amplificatio. Easily communicate with people who speak other languages via the easy-to-use translation tool in the Thrive app.